You make a living by what you get; you make a life by what you give. As Director of Development for Ohio State University Extension, this notion is in the forefront of my mind daily as I match philanthropic passions with Extension initiatives. In my work, I foster conversations with individuals and organizations with a desire to impact the future through their contributions to Extension. Carrying out this mission since coming to OSU last June, I have found my work to support the “Give to CD” Campaign to be very rewarding. My thoughts and opinions about CD were formed at an early age; growing up with parents actively engaged in their community in Perry County (my mother a school administrator and father a community development practitioner). When I think about Community Development, “self-help” and “collaboration” come to mind. In the past and still today, community members cooperate in building schools, churches, parks and other community institutions. They believe that working together is necessary to make community improvements. Then and now, folks invest in their own community to improve infrastructure, address gaps in services and meet local needs. And since its earliest beginnings, OSU Extension has been a key component of these community partnerships. In the future, the success of our Ohio communities can and will coincide with the investments made in Extension by a variety of partners willing and able to give of their time, money, assets, expertise and other resources. Specifically in Extension CD, we look to gifts that help to offset the costs of professional development and recognition for our employees and retirees. Thanks to foresight by CD professionals a number of years ago, Extension CD endowment and support funds are in place to accept donations for this purpose. 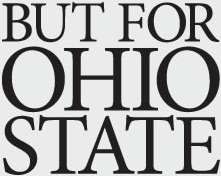 If you are interested in learning more about our development initiatives, please feel free to contact me (winnenberg.8@osu.edu or 614-247-7606) or visit the CD Web page to learn more about the “Give to CD” Campaign. As populations shift, government resources turn to other initiatives, and economies continually change, many rural places in Appalachian Ohio are challenged with sustaining their communities. One of the positive trends in rural Appalachian Ohio is growing philanthropy for long term sustainability in the community. Building community-based philanthropy can organize a community around its assets and connect long-term vision to concrete action. While community-based philanthropy is only one component of social and economic sustainability, it can create positive community dialogue toward a common vision of the future. 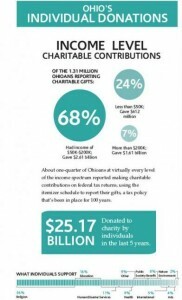 In addition, established community foundations can play a visible role in charitable giving. For many rural communities, giving has been there for a long time. Rural communities have contributed hours of service and volunteering to help others in need. Now rural communities are being recognized for their giving and contributions by individuals. Many people may say one person or one act of giving does not make a difference. Giving by individuals, or the “power of one,” is not a unique phenomenon to rural communities. The majority of philanthropic giving, about 80%, comes from individuals. 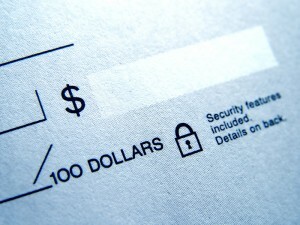 Another trend in philanthropic giving that may also surprise some people is who gives. According to Ohio Gives, 68% of individual contributors had an income level of $50K-$200K. It is not just wealthy individuals who give. A model recently noted for the power of one is the Guernsey County Foundation. In December 2004, the Guernsey County Foundation partnered with the Foundation for Appalachian Ohio. The Guernsey County Foundation began with one fund of $100,000. Fast forward to 2014, ten years later the Guernsey County Foundation has grown from one to 32 individual funds totaling more than $4.3 million serving the rural community. In Guernsey County, the community-based philanthropy is helping to foster social and economic sustainability and community dialogue toward a common vision of the future. Eastern Ohioans have always been generous. Disaster or illness strikes, we give generously of our time and resources. But the concept of organized philanthropy strikes many residents in this part of the state as foreign . . . something that the Rockefellers or Bill Gates do . . . but not us!! Historically, southeastern Ohio which includes 26 of the 32 Ohio Appalachian counties has been underrepresented in charitable assets. This region represents 29.5 percent of the state’s counties, 10.5 percent of the state’s population, but only 2.5 percent of the charitable assets and 2.7 percent of giving in the state. For illustration, Ohio’s largest community foundation, The Cleveland Foundation, had approximately 4.8 times the assets and made about 2.6 times the gifts of all 132 foundations in southeast Ohio combined. Oil and gas development in the region may be a catalyst for the growth of organized giving in this part of the state where shale development is occurring. New community foundation funds have been established in Harrison and Monroe Counties, and the Guernsey County family of funds all have been consolidated under the umbrella of the Foundation for Appalachian Ohio. In Noble County, a local community fund, under the Marietta Community Foundation umbrella, has distributed nearly $15,000 in grants to local non-profits and $7,000 in scholarships since its creation in 2005. These “baby-steps” in some of Ohio’s smallest counties are long overdue and represent a positive sign in the region. The creation and maintenance of these local funds provide a seed from which long term growth in charitable giving may result. Hopefully some small portion of the region’s new found oil and gas wealth will make its way into these funds to assure that the current gas wealth will help the region thrive for years to come.